At first glance, Mechanicstown drivers might think it’s a strange comparison. The 2015 Honda Pilot is an SUV, while the 2014 Toyota Tacoma is a compact pickup. But when you think about why drivers choose either of these vehicles, and when you dive into the specs, they are more comparable than they would seem. The 2015 Honda Pilot is available at Middletown Honda, the Mechanicstown-area’s preferred Honda dealership, and we think it offers much more than the 2014 Toyota Tacoma. You can find us as 520 Route 211 E. in Middletown, NY, just five minutes from the heart of Mechanicstown. Look at how these two vehicles compare, and decide if the 2015 Pilot might be the smarter choice. The Tacoma is powered by a 2.7L four-cylinder 16-valve engine, and the Pilot is powered by a 3.5L V6 24-valve engine. 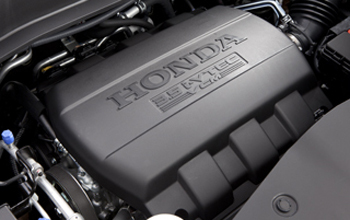 You can see off the bat that the Pilot offers more cylinders, and a significantly larger engine displacement. When you dive into the numbers, the Pilot maintains that lead. The Tacoma puts out an underwhelming 159 hp and 180 lb-ft of torque compared to the Pilot’s 250 hp and 253 lb-ft of torque. Plus, an automatic transmission with grade logic comes standard on the Pilot, but is not available on all the Tacoma trims. So the Pilot has more power and is easier to drive. Even better, it offers superior fuel economy numbers. A 4WD 2014 Tacoma Access Cab with V6 engine will give you 16 mpg city/21 mpg highway/18 mpg combined, while a 2015 Pilot LX 4WD offers 17 mpg city/24 mpg highway/20 mpg combined. * If you need a vehicle that can handle heavy loads, steep hills, and rough pavement without burning through a tank of gas, the Pilot is the obvious choice. The 2014 Toyota Tacoma is a solid compact pickup, but that’s all it is. The 2015 Pilot is a viable alternative to a light-duty truck, as well as an exceptional family vehicle and a great SUV for commuting and travel around Mechanicstown and elsewhere. When you compare the baseline trims of both vehicles — the Tacoma Regular Cab and the Pilot LX — the difference really becomes clear. The Tacoma’s sound system has four speakers, while the Pilot’s has six. The Tacoma comes with a sliding rear window, the Pilot comes with a rearview camera. Plus, features like cruise control, a leather-wrapped steering wheel with audio controls, and a rear window defroster that come standard on the Pilot are either optional or not available on the Tacoma. If you are looking for a vehicle that can do it all while providing a comfortable driving experience for you and all your passengers, the Pilot does so much more than the Tacoma. Why rely on a truck when you could rely on a vehicle that does so much more than a truck? Interior versatility is where the 2015 Honda Pilot really pulls away from the 2014 Toyota Tacoma. 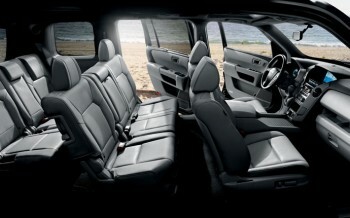 The Pilot comes standard with seating for eight and up to 87 cubic feet of cargo space. Plus, thanks to the Pilot’s boxier design, it’s easy to fit in bulky items. That means the Pilot is as good for hauling cargo as transporting passengers. It’s practical for all types of work, but it’s still a vehicle you can load the whole family up in. The Tacoma, by contrast, has a maximum seating capacity of five, but if you are a grown adult, riding in the rear seats is less than pleasant. The bed is fine for a pickup, but if you’ll have to tie down larger loads, groceries and shopping bags will get dirty, and if you need passenger instead of cargo space, you are out of luck. Pilot drivers will also love having adjustable front bucket seats, the option to upgrade to leather upholstery, and an available rear entertainment system to keep passengers occupied. Inside a 2014 Toyota Tacoma, you can do some things — but inside a 2015 Honda Pilot, you can do everything. A new vehicle is a big investment. Wouldn’t you rather go with something that can do it all? The 2015 Honda Pilot easily wins out over the 2014 Toyota Tacoma, and it is the right choice for Mechanicstown drivers who need functional power, versatile options, and reliable performance. If you have been thinking about the Tacoma, or any smaller-sized truck, do yourself a favor and check out the 2015 Pilot at Middletown Honda.